September 10 1993 - Boeing finishes production of their 1,000th 747 airplane, 26 years after the 747 program was launched. September 10 1908 - At Fort Myer, Orville Wright sets a world flight endurance record of 1 h 5 min and 52 seconds. September 11 1981 - Giovanni Carta (John Carta) becomes the first man to land with a parachute on the top of the World Trade Center. (he sustained a 50$ fee). September 12 1994 - Distraught over breaking up with his third wife, wanting to gain notoriety, and under the influence of alcohol and cocaine, Frank Corder steals a Cessna 150 from Aldino Airport near Baltimore, Maryland, and crashes it onto the South Lawn of the White House in Washington, D. C., killing himself. The plane is undetected until seen over the White House lawn, prompting a change in security procedures at the White House. September 12 1916 - The first pilotless radio-controlled aerial bomb was tested. It was actually a small biplane that could fly radio-guided for 50 miles (80 km) with 308 pounds (140 kg) of bombs aboard. September 13 1974 - The U. S. Air Force SR-71 Blackbird 61-17972, flown by Captain Harold B. "Buck" Adams (pilot) and Major William C. Machorek (reconnaissance systems officer), flies 5,447 miles (8,771 km) from London to Los Angeles in a world record 3 hours 47 min 39 seconds at an average speed of 1,435.59 mph (2,311.74 km/h). September 14 1984 - 14-18 - Joe Kittinger makes the first solo transatlantic balloon flight, from Carbon, Maine to Savona, Italy. September 14 1944 - The first successful flight into the eye of a hurricane was made by a three-man crew flying a Douglas A-20 Havoc. They demonstrated that valuable scientific information can be obtained in this manner, which is still done today. September 14 1938 - The Graf Zeppellin II makes its maiden flight. A number of events, including the Hindenburg disaster and a United States refusal to provide helium, prevent the most technologically advanced airship of its day from fulfilling its role as a passenger transport. 19 months later it would be scrapped. September 15 1945 - A flypast of 300 aircraft takes place over London to celebrate Battle of Britain Day on the fifth anniversary of the decisive day of combat in the Battle of Britain. Although two-thirds of the fighter squadrons defending Britain in the battle operated Hawker Hurricanes, not a single Hurricane takes part in the flypast. USA, Chicago: The unruly behaviour of six men who were part of a San Diego soccer team forced a Southwest Flight bound for Chicago to divert to Amarillo, Texas. The men were detained in Texas and, at the direction of the FBI, transported to the Randall County Jail and charged with Interference with a Flight Crew. China, Beijing: After a series of flight disruptions by angry or unruly passengers, Chinese media on Tuesday revealed a new menace to air travel in the country: fighting pilots. Two of them came to blows in the cockpit of a China United Airlines (CUA) flight in June. The CUA said the pair had been grounded for six months and had their flying hours reduced by 10% as well as being banned from flying new routes. USA, Fort Carson: Four Fort Carson soldiers were injured after a Blackhawk helicopter from the post made a hard landing in a wooded area in Douglas County Wednesday afternoon. None of the injuries were considered life-threatening. The helicopter was on a routine training mission when the incident happened. USA, New York: A New York City teacher was arrested early Friday for allegedly crashing a drone into an empty section of seats at the US Open. He faces charges of reckless endangerment and operating a drone in a New York City public park outside of prescribed area. Burkina Faso, Ouagadougou: A twin-engine aircraft flying from Burkina Faso to Dakar disappeared from radars shortly after 7pm on Saturday over the Atlantic, 69 miles west of the Senegalese capital. Apart from the patient, the plane was carrying two Senegalese nurses and a doctor as well as a Congolese man and two Algerian crew members. It is suspected that the aircraft was had run out of fuel. USA, Los Angeles: A 27-year-old California man was arrested and is being held on $25,000 bail after allegedly pointing a laser light into the cockpit of a commercial airliner and later into a police airplane that was searching for the offending light. Those caught using a laser aimed at a plane can face up to five years in prison per incident and a $250,000 fine. In Los Angeles, deputies have arrested nearly two dozen people on laser-related offenses since 2010. Botswana Tourism Organisation in partnership with Gaing-o Community Trust and The Matsieng Flying Club are proud to host the prestigious Race of Champions in Botswana from 17 to September 2015.This event is important to the organisation as a way to increase aviation tourism into the country, as well as generate new events that are interesting for our local and regional tourists' interested in adventure and sporting events. 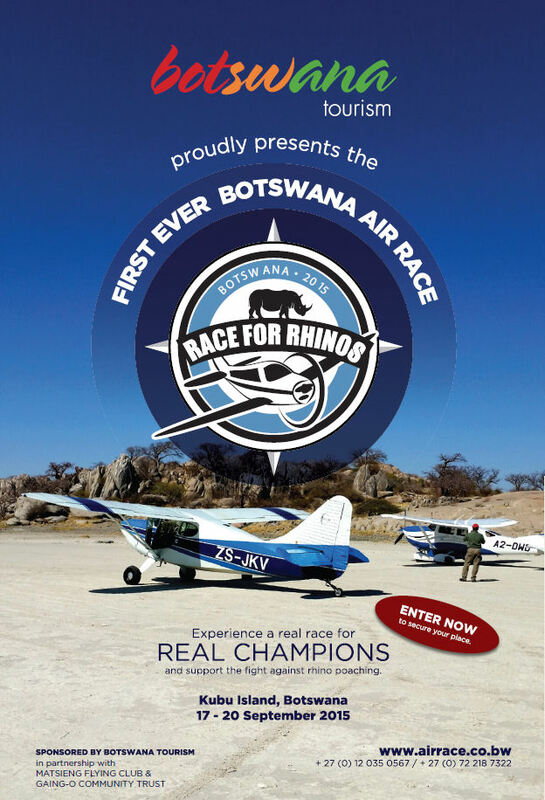 The main feature of the Race for Rhinos will be the race itself, with 100 light aircraft expected to participate, taking off and landing directly on the hardened salt plains next to Lekhubu Island. The afternoons will offer further experiences for participants and spectators with guided tours of the national monument, quad biking, mountain biking and exciting aviation stunts. As part of Botswana's dedication to conservation this event will be now known as the Race for Rhinos, with key turning points aligning themselves with destinations that are home to some of Botswana's rhino population, including Serowe and the Khama Rhino Sanctuary and Debswana's Orapa Game Park. The national endangered wildlife trust, Tlhokomela, supports this event as it will bring awareness of the good work that the Botswana government is doing towards promoting the country as a safe haven for these critically endangered species. The Trust will also raise funds through an auction at the event in support of the Central Operations Unit. From 5 to 12 September 2015, twenty amongst the best gliding pilots in the world will battle out to win the 6th FAI World Sailplane Grand Prix Championship at Calcinate Del Pesce Airport in Varese, Italy. This exciting competition is the finale of a series of seven qualifying races that took place during the course of the year in different places around the world. Day 1 started well for the French pilots, claiming the first three positions. 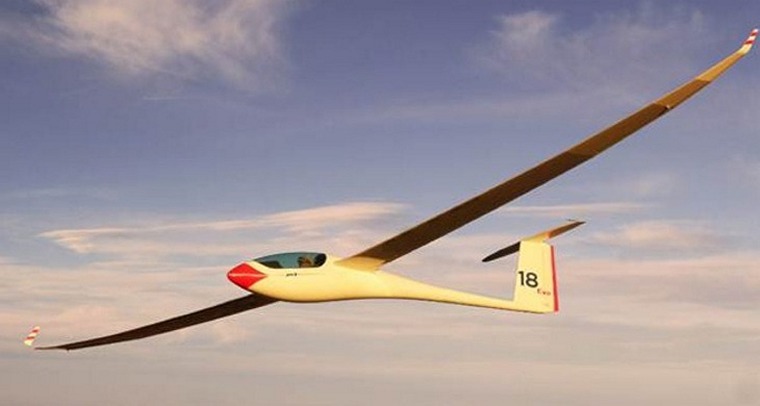 Three South African designed and build Jonker Sailplanes finished in the top ten. Maximillian Seis in a JS-1 finished in first whilst Christophe Ruch finished in third and Petr Panek in 7th. Both flew the JS-1. Christophe Abadie in an ASG 29 E took the second place. Day 2 was won by Giorgio Galetto in a Ventus 2cxa	followed by Roman Mracek in a ASG 29 E with Christophe Abadie	in another	ASG 29 E in third. Jonker sailplanes finished in 4th, 6th and 12th positions. Day 3 So far different pilots have shared the podium and on day three this trend continue. . Tilo Holighaus in a Ventus 2cxa completed the leg in first place, second was Werner Amann	in an	ASG 29 followed by Sebastian Kawa also in an ASG 29. Jonker sailplanes finished in 4th, 8th, and 15th. Day 4 was a wonderful day for Jonker Sailplanes with Christophe Ruch in 1st place in a JS1, Maximilian Seis	in 4th also in JS 1, Laurens Goudriaan in 5th in a JS 1 evo and Petr Panek	in 7th in another JS 1. Uli Schwenk in a Ventus 2cxa finished 2nd and Sebastian Kawa	in an	ASG 29 was placed 3rd. More results will be published in next week's Midweek Update. 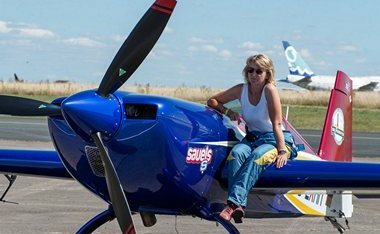 After ten days of a particularly challenging competition French pilot (Left) Capitaine Alexandre Orlowski flying an Extra 330SC is the new World Aerobatic Champion. 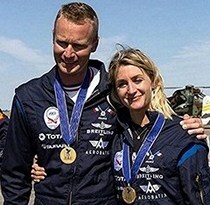 The French female pilot Aude Lemordant (left) also in an Extra 330SC took gold in the women's competition. She also finished sixth in the overall rankings with 1st Orlowski, 2nd Mikhail Mamistov (Russia) 3rd Castor Fantoba (Spain),4th Gerald Cooper (Great Britain) 5th, Capitaine Fran�ois Rallet (France) and Lemordant in 6th. 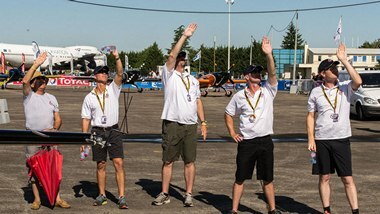 Six of the French pilots finished among the top 11: Capitaine Fran�ois Rallet (5), Aude Lemordant (6), Mika�l Brageot (7), Baptiste Vignes (9) and Simon de la Bret�che (11). On Saturday the Freestyle competition, not part of the general classification, took place. Fourteen competitors entered. 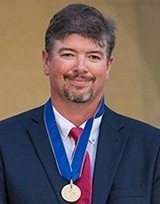 For the first time in the history of the FAI World Aerobatic Championships, Rob Holland from USA in a MXS has won the Final Freestyle three times in a row (2011, 2013, 2015). Second place went to Martin Sonka in a Extra300SR, Castor Fantoba in a Sukoi 26M was in third with Gerald Cooper in a XA-41in fourth and Mika�l Brageot in an Extra 330SC in fifth. 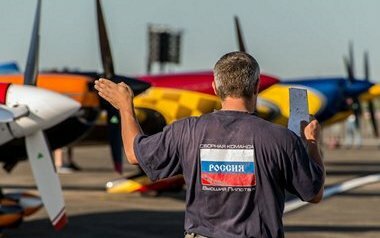 Of the fourteen competitors in the free style class eight flew the Extra 330SC, two flew the MXS, two the XA-41, one a Sukhoi 26M and one a Edge 540. The flight test campaign in Italy of the Unmanned Combat Aerial Vehicle Neuron has been successfully concluded with the achievement of all established goals, thus allowing an important step forward for the program. 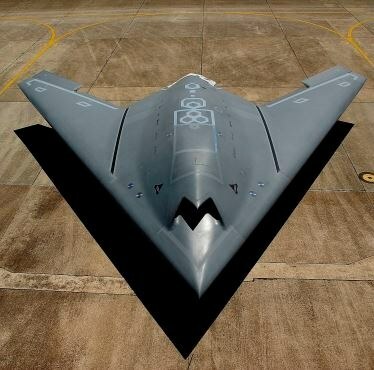 The Neuron is the European full-scale technological demonstrator for an Unmanned Combat Aerial Vehicle (UCAV) developed by an industrial team led by Dassault Aviation with the collaboration of Finmeccanica-Alenia Aermacchi, Saab, Airbus Defence and Space, RUAG and HAI. The aircraft has been deployed at the Italian Air Force's Decimomannu Air Base, in Sardinia, Italy, where it has fulfilled a series of important operational tests. In particular, the 12 highly sensitive sorties have allowed to verify the characteristics of Neuron's combat capability, its low radar-cross section and low infrared signature, during missions flown at different altitudes and flight profiles and against both ground-based and air radar "threats", using in this latter case, an Eurofighter Typhoon. During the deployment in Italy the Neuron has confirmed its already ascertained excellent performance and high operational reliability. Starting this summer, the next testing phase will be run in Sweden, at the Vidsel Air Base, where tests of low observability and use of weapon delivery from the aircraft's Weapon Bay will be carried out. The demonstrator's development activity is an important step in the technology maturation process of the acquired technology, mitigating the level of risk of future investments for UAS in Europe and moving towards systems' development for operational uses. 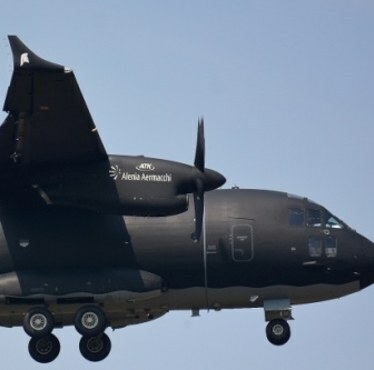 Finmeccanica-Alenia Aermacchi has completed dedicated flight-testing following the modification to add winglets to the C-27J battlefield airlifter configuration, one of a series of product developments underway on the only real military medium turboprop airlifter on the market. The winglets, which are extensions to the wingtips of the aircraft, have the aim to improve the already very good overall flight performance of the aircraft by increasing the lift-drag ratio and will ever extend the performance gap between the C-27J and its competitors. In-service benefits include improved hot and high runway performance, increased payload, range, endurance and the overall deriving reduction in operating costs. First flight of the "wingletted" aircraft took place with complete success at Finmeccanica-Alenia Aermacchi's Turin-Caselle facility, Italy, on 15 June. Flight Test campaign allowed to collect all the data to verify the design objectives achievements providing the basis for a substantiated decision to incorporate winglets into the C-27J design, also in the configuration such as gunship and surveillance aircraft. The winglet design includes also, as a peculiarity, some parts which have been produced by a new 3D Additive Manufacturing technology. Material characteristics and properties have been ground tested, in order to support Flight qualification, by Finmeccanica-Alenia Aermacchi's Naples-Pomigliano Engineering Laboratory. 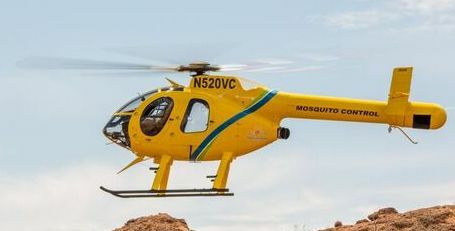 MD Helicopters, Inc. (MDHI) announced today the delivery of a new MD 520N single-engine helicopter to Volusia County Mosquito Control, Volusia County, Florida. The decision to acquire the new MD 520N to the Volusia County fleet was announced in March 2015 as an expansion of the department's ability to inspect and treat the region's wet and drylands not easily serviceable by trucks or other ground methods. With the addition of the MD 520N, the Volusia County Mosquito Control Unit now operates three (3) MD helicopters including two (2) MD 500E models. "After more than 20 years as part of the MD Helicopters family we are excited Volusia County decided to expand their MD fleet with this incredible aircraft," said Craig Kitchen, Chief Commercial Officer for MD Helicopters. "The 520N features our exclusive NOTAR� system; a no tail-rotor technology that delivers a best-in-class blend of safer performance in swampy, overgrown areas, and a lower noise profile for quieter operation in highly populated areas. We are confident this beautiful new aircraft will exceed all performance expectations." 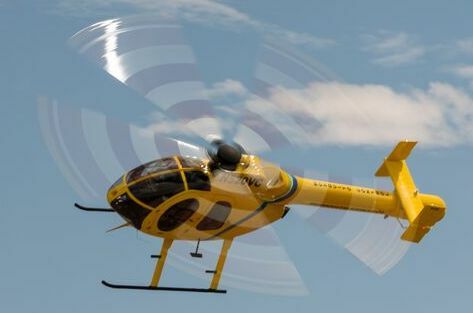 The dynamic yellow paint scheme of Volusia County's MD 520N combined with high-contrast main rotor blades delivers increased visibility when flying through areas of dense brush or in low-light scenarios. Featuring a 450-shp Rolls-Royce 250-C20R/2 turbine engine, a Garmin G500H EFIS all-glass avionics flight display, Garmin GTN 650H GPS, NVG compatible interior lighting, Super Nightscanner� Retractable Searchlight, a 2,000 lb. cargo hook, auxiliary fuel tank and wire strike protection system among other standard and custom features, this aircraft will be a reliable, powerful performer for the Mosquito Control Unit. RUAG Aviation has taken the first steps towards bringing serial production of the Dornier 228 online. The move, which was announced against the backdrop of the International Paris Air Show, sends a clear signal to the market that RUAG is strongly committed to its Dornier 228 program and expects steady growth in this segment. RUAG will produce four aircraft per year from mid-2016, with this number set to increase in line with demand. Assembly of the fuselage has already begun, and the wing panels are currently in the forming process. The final assembly line has also been set up in Munich-Oberpfaffenhofen as part of the ongoing preparations to get the facility ready for the start of serial production. Last year, RUAG Aviation signed a partnership agreement with Tata Advanced Systems, a world leader in air frame manufacturing, as part of a far-reaching realignment of its supply chain. This revamped supply chain gives RUAG even greater flexibility to meet the market's rapidly changing requirements while offering added value to customers. Production of the aircraft involves a number of global suppliers, including Tata in India. Nonetheless, everything is controlled by RUAG personnel on site in Germany where assembly, final checks, and test flights are carried out. "The Dornier 228 is experiencing significant growth in demand for special missions, including maritime policing and border control. In its special mission configuration, the twin turboprop offers numerous advantages for RUAG's global customer base, with on-station time of up to eight hours, high performance, and easy installation of equipment," says Volker Wallrodt, Senior Vice President Business Jets, Do228 & Components. "The aircraft is also popular for connecting remote regions in countries such as Venezuela where, as a commuter aircraft, the Dornier 228 has proven its STOL and hot & high capabilities as well as its ability to operate on unprepared runways. The aircraft can also be re-configured from passenger to cargo-transportation layout with minimum effort. Besides that, it offers outstanding low operations costs," he adds. Interest in the Dornier is set to take off in the key regions of Asia and Africa where the trend among operators is for smaller 19-seater aircraft such as the Dornier. In response to this growth, RUAG is focusing on ensuring a sustainable and reliable serial production line. As an original equipment manufacturer and specialist in maintenance, repair and overhaul services, RUAG Aviation offers its customers fully customised aircraft based on their needs, as well as life cycle support, service life extension and system integration.